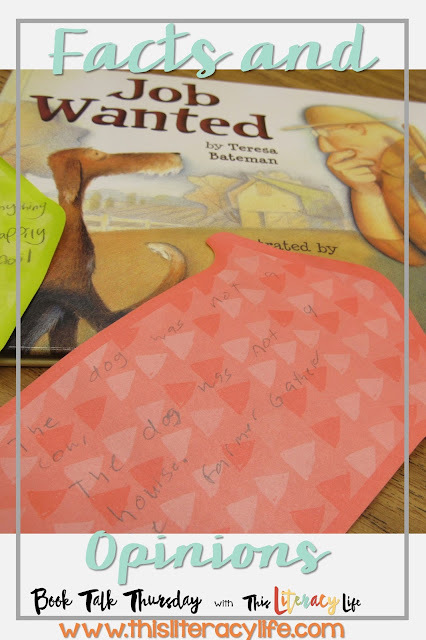 In the book, a dog approaches a farmer asking for a job. The farmer tells him that "Dogs just eat and don't give anything back." The dog is out to prove the farmer wrong. Each morning he goes to the farm to do another job. Each day the farmer tells him there isn't an opening for the animal. The dog, then goes and helps the farmer do his job in "jig time". In the end, the farmer realizes that he does need a dog. What a sweet story. I continue to work with the fifth graders on their comprehension skills. We used this book to focus on facts and opinion. 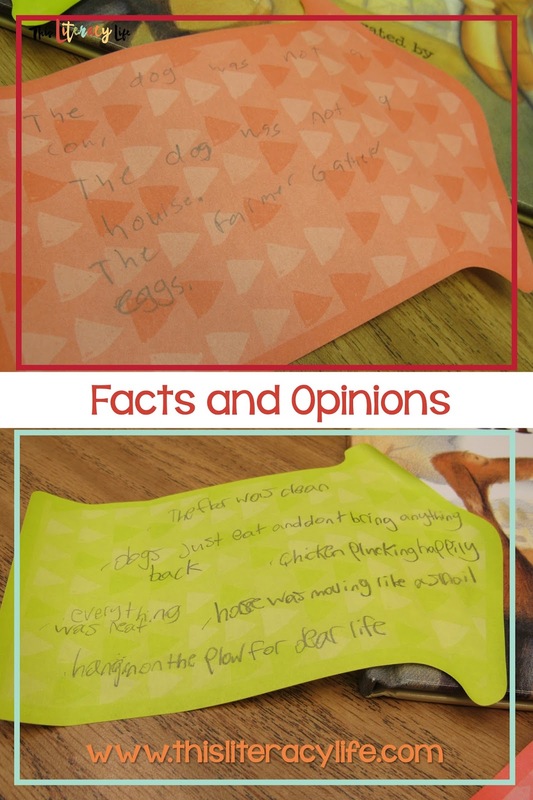 The kids listened as I read the story for various examples of facts or opinions. I had them only listen for one or the other, so I didn't bog them down. Here were some of their examples. Overall, they had a great time doing this and really had a solid understanding of facts and opinions. 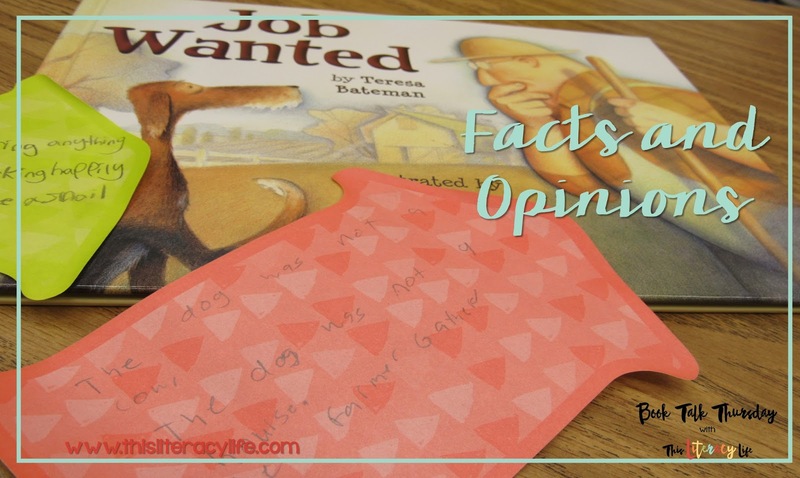 Job Wanted is a great book for not making assumptions and using facts, not opinions of others!